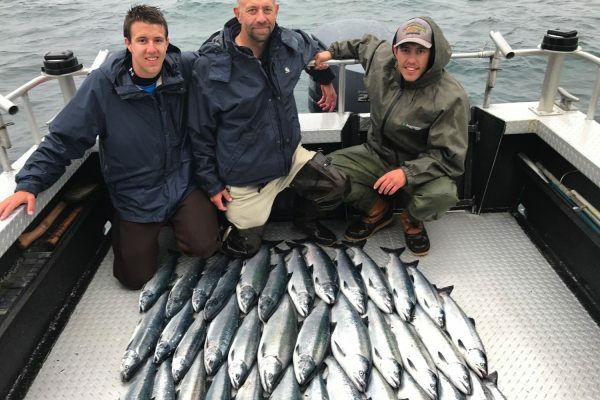 Your arms will ache when you tie in to these acrobats on light tackle! 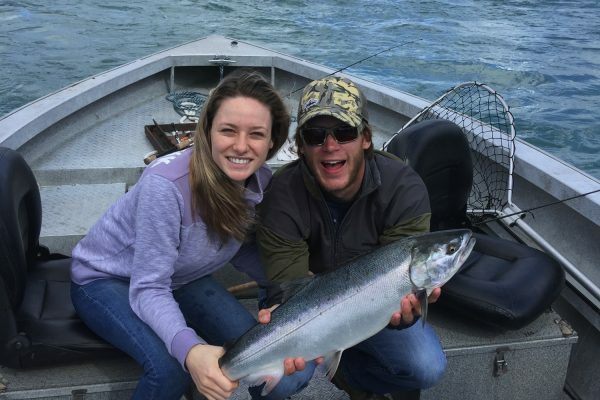 The most acrobatic of all Pacific Salmon, the Silver, or Coho Salmon enter the waters in our area in early July. Our first Silver Salmon are caught in the waters outside of Resurrection Bay. 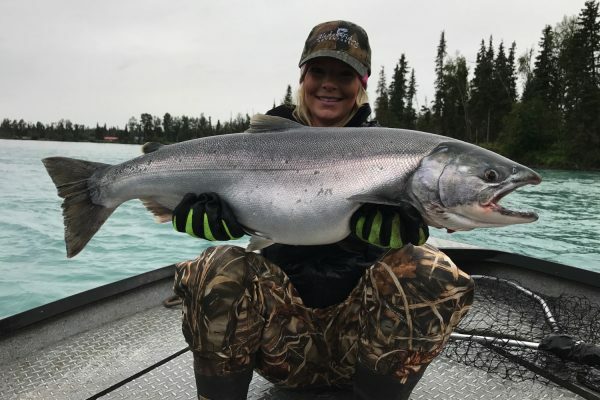 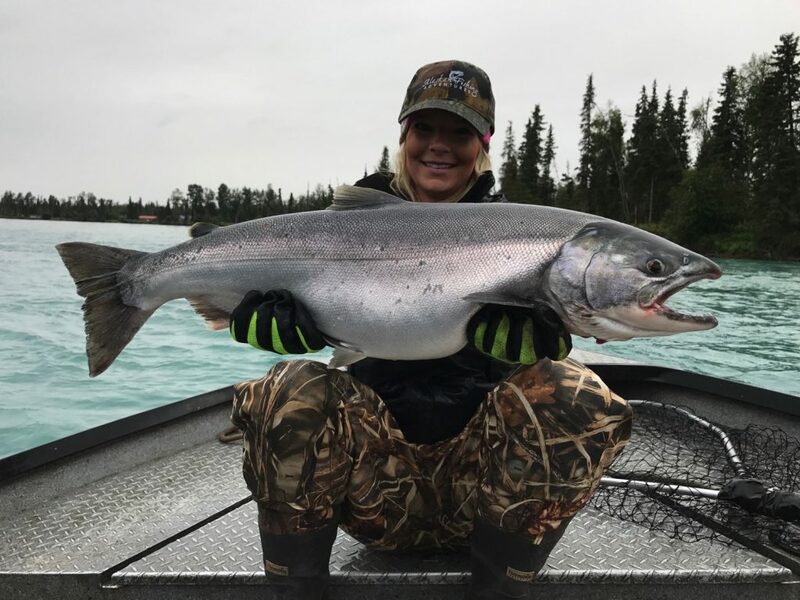 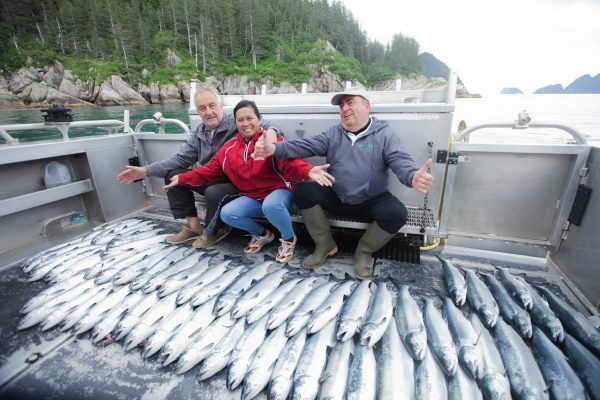 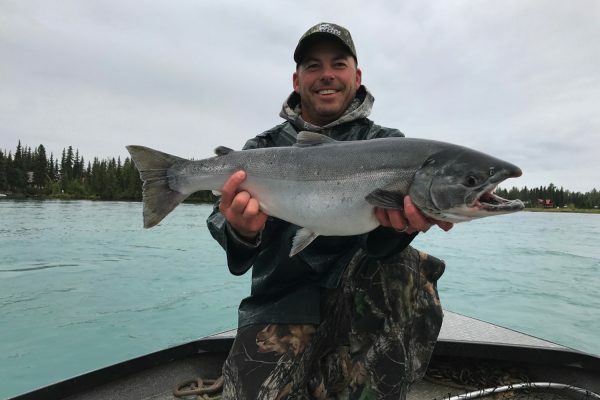 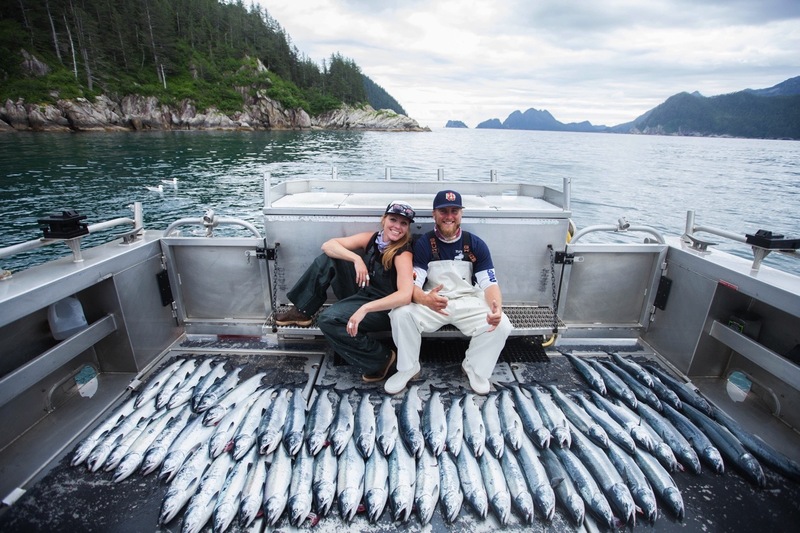 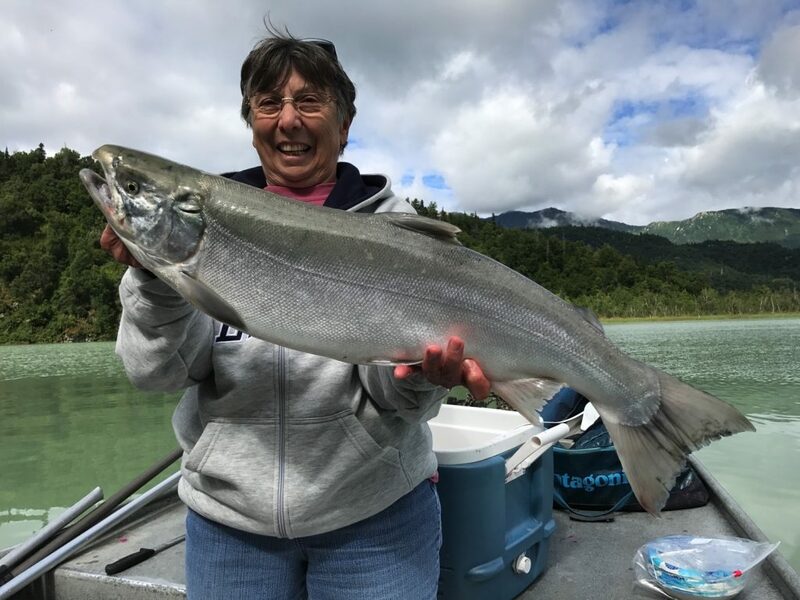 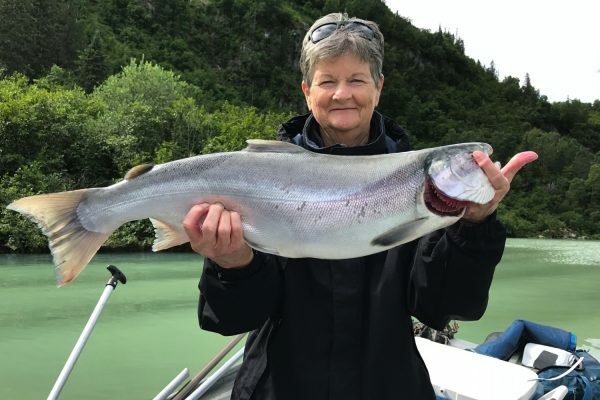 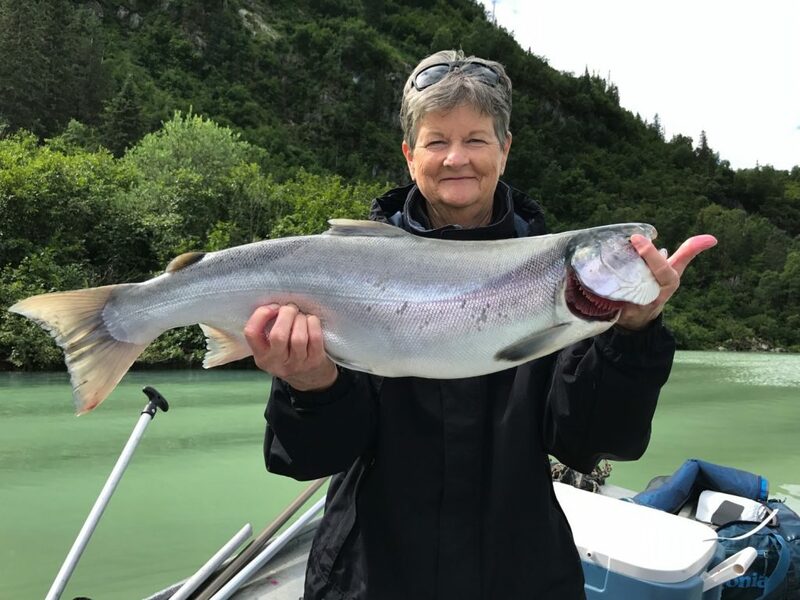 This is a terrific salt-water fishery with a grand backdrop of the Kenai fjords, glaciers, towering mountains and unlimited marine wildlife. 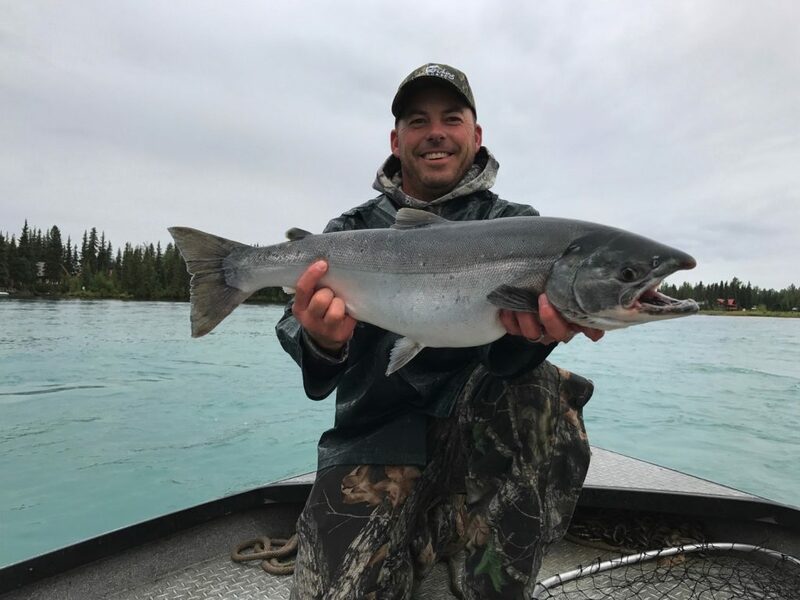 The Kasilof River fishing is all done from drift-boats and the Kenai River fishing is from power boats. 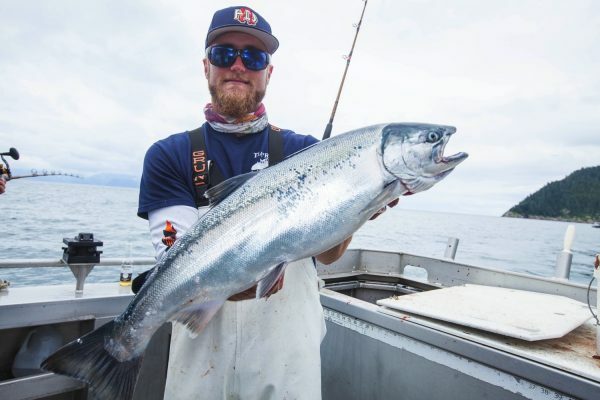 On these fresh-water fisheries best success is attained using Salmon-egg clusters which are back-bounced or drifted. 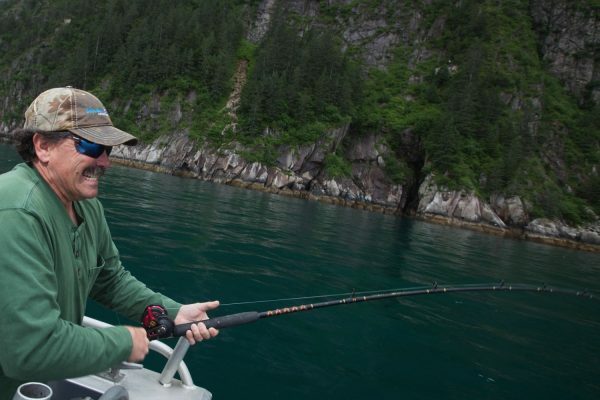 Casting spinners and spoons in the backwaters can be very effective as well as plug fishing the faster water. 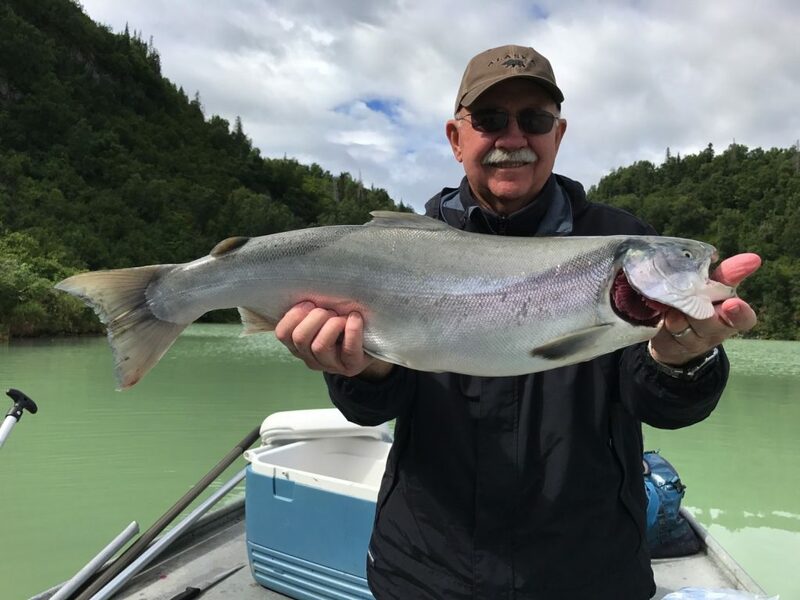 These trips are 6 hour trips utilizing a float plane to fly to the western side of Cook Inlet. 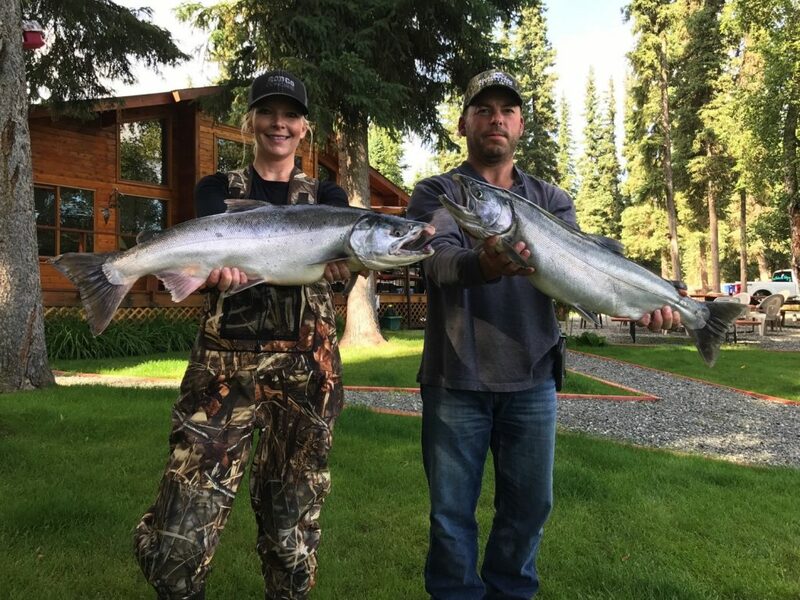 We fish a variety of different rivers and your destination just depends on where we are finding the best fishing. 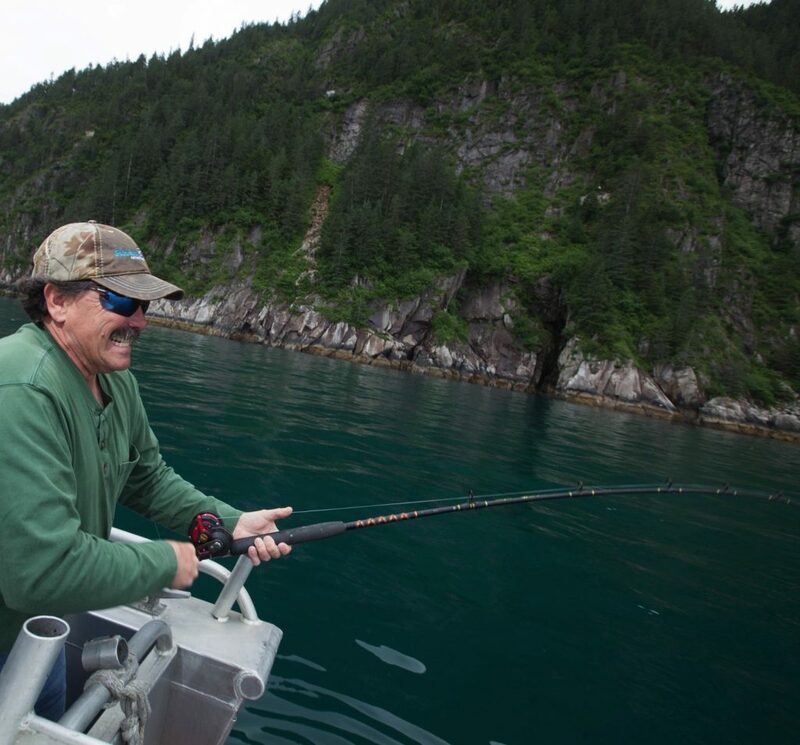 Your guide stays with you and he is armed as Brown Bears are very plentiful in this area and you will probably see bears on this trip. 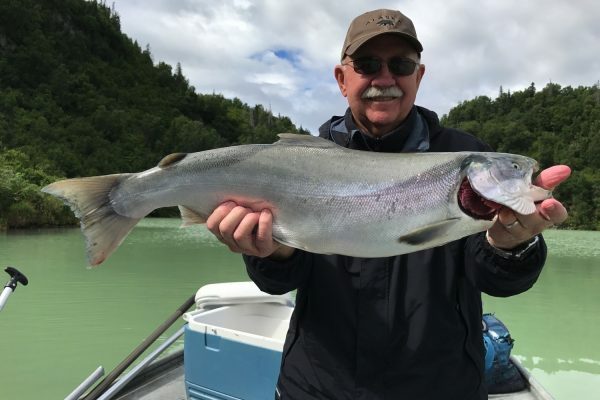 Emphasizing light tackle, each vessel is outfitted with light to medium action, all graphite G-Loomis rods, and level wind Shimano reels filled with 12-15 pound test. 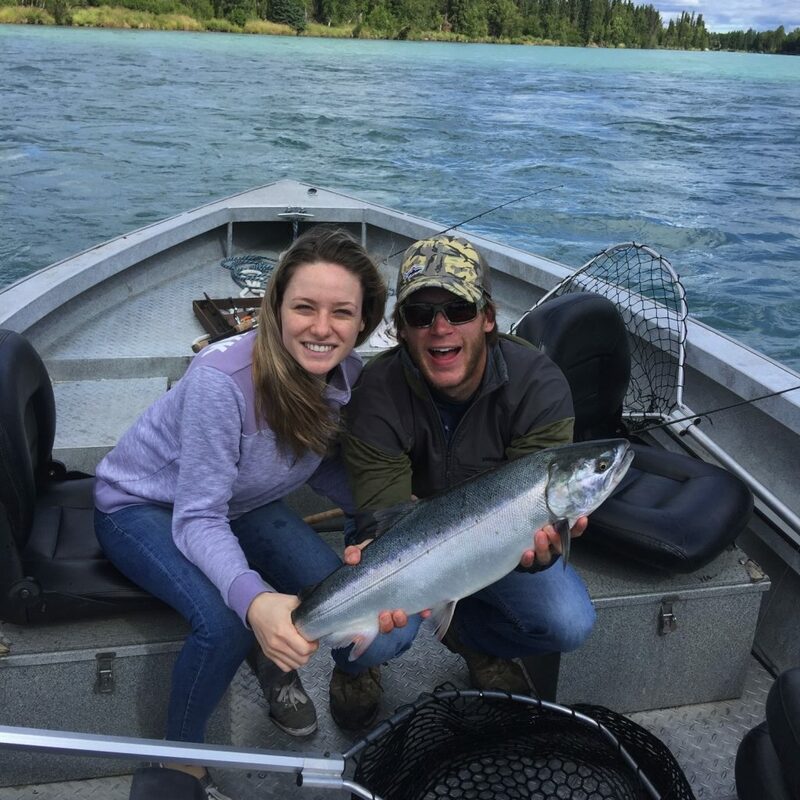 Multiple hook-ups can be expected on your outing, and more that likely all six passengers onboard will have a fish on at the same time. 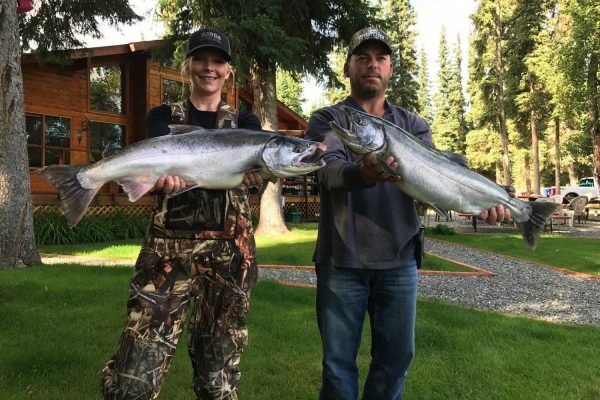 This fishery begins July 1st and runs until September 10th. Rockfish, Sea-bass, Ling-cod, Pink Salmon, Golden-eye Snapper and an occasional King Salmon are caught on this salt-water bonanza. 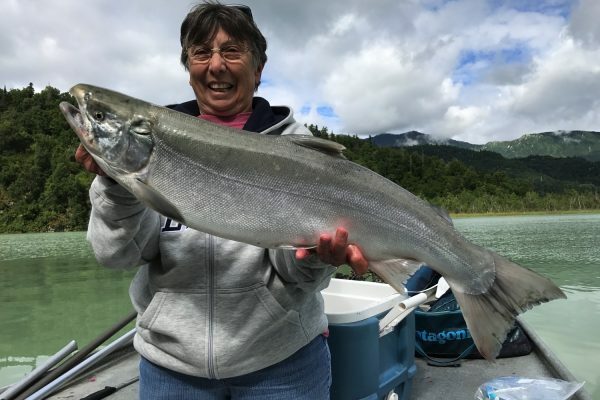 The limit on salt-water Silver Salmon is six per day!